We all having hobbies and probably your hobby is collecting records or probably appreciate music in records. If they are this precious to you, I can imagine you would put them safe. Here are some tips on keeping them safe. This is a general rule to all records. You can put them in a plastic sleeve or a cardboard cover which will keep them safe away from dust. If you want to destroy your records, this is the best way. Keep the records in a shaded area. It is also good to store your records far away from humid area. This positons helps your record to cramp and it is well organized. Looking for a record is pretty much easier, because all you got to do is look on the titles that are on the side. Am not talking about washing it with soap and water. This can destroy your records. The reasons we clean the records is to ensure they don’t get dusty which sometime lead to scratches. When you clean, you use a soft piece of cloth, add a specific mixture of spirit, then wipe in a circular option. Be gentle as you clean the records. Allow to dry by itself. It is fragile and can easily get broken. It is very good to handle it with care. Do not touch the shiny part, hold on the center and the edge of the record. Don’t drop them because they can have scratches which affects it when put on the record player. When you want to write the name on the record, it is good to use the right marker which the tip is soft and cannot scratch the record. If you interested in carrying them from one place to another for different reasons, you can use the mobile vinyl box or bag. It can protect the records. If you interested in buying vinyl records then is good to look at the buildup. Check if it has an internal padding to absorb shock in case of a fall. Also look at the carrying capacity, if it can carry all your records. Some of the boxes have a chrome plate steel on the side that gives strength to the box. They also have a lockable lid and a padded carry handle. If you clean the records and not the sleeves, you pretty much have done nothing. The record will still be dusty thanks to the sleeves. Make sure you clean it up, you can wipe with a clean cloth and ensure it is dry before you put the record on the sleeves. If the record player is damaged, it may end up destroying your records. Ensure it is in the best condition to play your records. It is also wise to know that some record players brand are poorly made and can destroy the records. 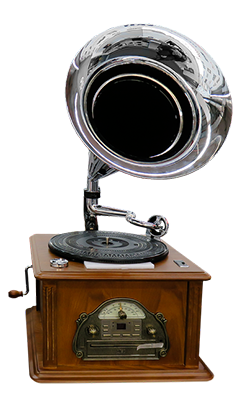 Search on the best record player.